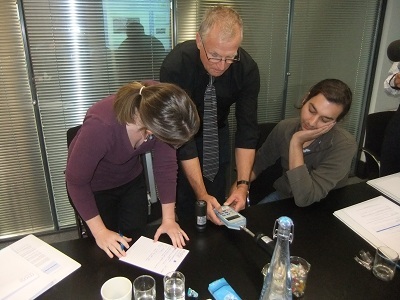 Pulsar Instruments has announced the 2018 UK dates for its Noise Awareness Training Courses. The One Day Noise Awareness Course, hosted by an experienced acoustician & member of the Institute of Acoustics, focuses on the key facts and gives delegates an understanding of the issues relating to the legislation, measurement and control of noise in their workplace. • How can I determine whether we have a noise problem, and if so, who is at risk? • How do I comply with the NEW ‘Controlling Noise in the Workplace regulations? • What do I need to measure and why should I calibrate my sound monitoring equipment? • How do I apply my measurements to the NEW action levels and legal limits? • What should I do if we exceed any of these levels or limits? This course is suitable for those who are new to carrying out noise assessments, as well as for health and safety professionals who might need a bit of a ‘refresher’. The course includes both theory and practical sessions, and refreshments and a buffet lunch are provided, together with reference materials to take away. On completion delegates receive a Noise Awareness Training Certificate.